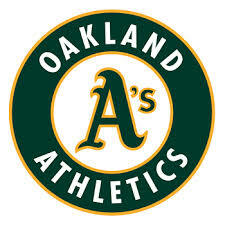 Ticket for the Oakland A's Tuesday, June 12th game at 7:05 against the World Series Champion Houston Astros. Tickets include a pot luck dinner beginning at 5:30 in the parking lot. Tuesday night is free parking. Seats are located in the lower portion of the first deck (Sections 103 & 104). Please join us for a year end celebration by buying tickets for the Oakland A’s Tuesday, June 12th game at 7:05 against the World Series Champion Houston Astros. A pot luck tailgate will begin at 5:30 in the parking lot, and it’s a Free Parking Tuesday (assuming that there isn’t a Warrior playoff game that night). We have 100 great seats in the lower portion of the first deck (Sections 103 & 104). First come first served, so get them while they are hot!!! $30 per seat includes food and beverage in the parking lot at the tailgate (normally $32 seats). Hope to see you there! A portion of each ticket sale will go to Oakland Field of Dreams to help maintain Rickey Henderson Field for youth baseball in Oakland. If you choose to pay by check, please note that your tickets will not be mailed or emailed to you until your check has been received at the address above. If you select the Home Delivery option, your tickets will be in your mailbox (either via US Postal Service or Hand-Delivered) within 7 days of your purchase date. If you select the Email Delivery option, your tickets will be emailed as PDF attachments to the email address you provided on your order within 2 days of your purchase date. The OFOD Tailgate will start at 5:30pm. OFOD will provide sausages, rolls, condiments, water. Please bring sides/salads/desserts of your choice, enough to feed 8-10 people. Also, please bring your own beverages if you wish. June 1st if delivery method is Home Delivery, June 5th if delivery method is Email. We have 100 great seats in the lower portion of the first deck (Sections 103 & 104). Check out the A’s Online Seat Viewer, https://www.mlb.com/athletics/ballpark/seating-map/3d, or the chart below.